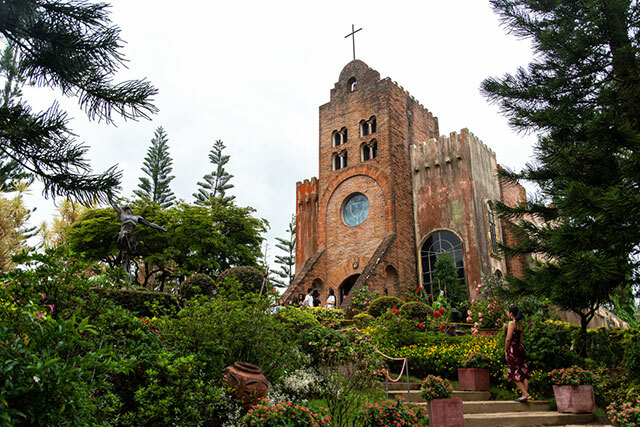 Tagaytay may not be shout-it-from-the-mountain-top dramatic, but it’s a reliable, nostalgic gem less than two hours away from Manila. Even at its most crowded, it still feels intimate; and you don’t have to book an overnight stay to experience its magic in full effect. The best part about having almost unlimited access to this city? You can do all the things on this list if you spread them throughout the year. 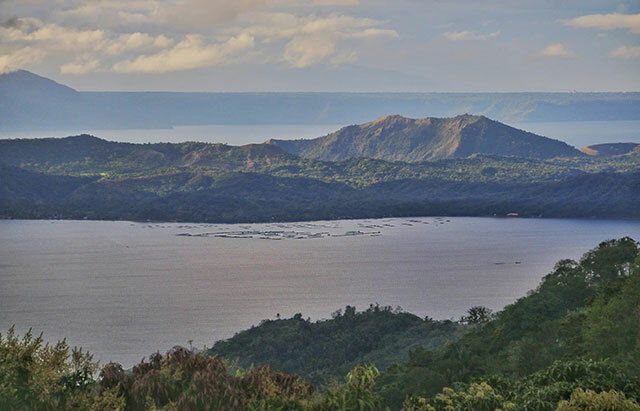 Before you indulge in the city’s many food options, be sure to check out the geographical wonder that is Vulcan Point, which you can see when you hike Taal’s crater. Fun fact: It’s one of the few known third order islands in the world (meaning it’s an island within a lake on an island in a lake within an island). Relive your childhood at Sky Ranch. Amusement parks never get old, and neither should you. If you’re looking to tour balikbayan relatives who haven’t been to Tagaytay in ages, this could be your best bet—especially if you’re traveling with kids. Go glamping at 8 Suites. Looking for something equal parts unique and romantic? 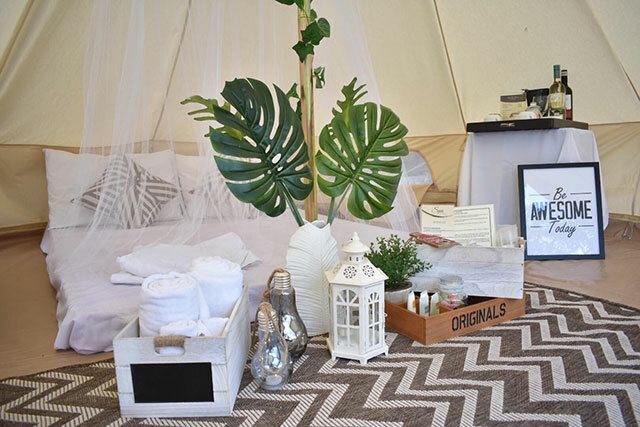 Book an overnight stay in one of 8 Suites’ glamping tents, which come with luxury mattresses, fluffy pillows and a mini bar. You even get full access to their hotel’s amenities. Wake up early for brunch at Breakfast at Antonio's. While dinners at Antonio’s are usually reserved for special occasions, Breakfast at Antonio’s offers a more laid back setup and menu options. Choose anything from their pastas to breakfast favorites and finish off with a cup of hot choco if you really wanna live in the now. If you’re not there in time for events like Tagaytay Art Beat, visit to see the works of glass sculptor Ramon Orlina and exhibits by various guest artists. For an entrance fee of P100, you get to see the most extensive collection of jigsaw puzzles in the world. There are even 3D puzzle sets! Have a family lunch at Marcia Adams. 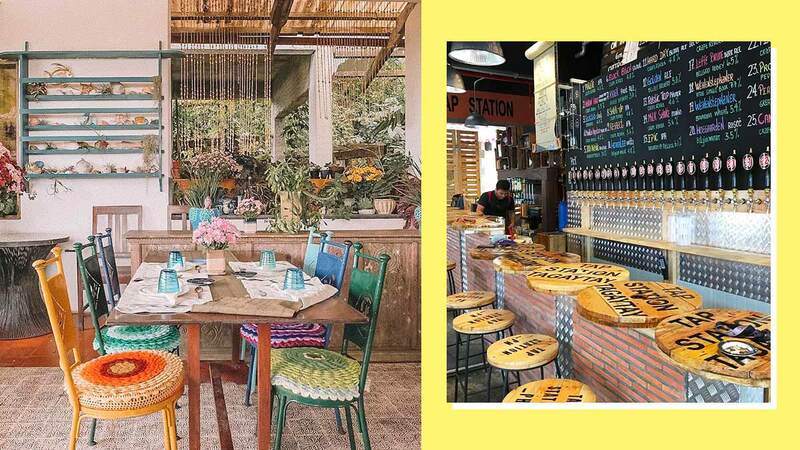 The sheer number of Instagrammable restaurants in Tagaytay can last you over a year’s worth of road trips. One favorite you can start with, which offers quality food to match its interiors, is Marcia Adams. While the prices are a bit steep, each main course comes with an appetizer and dessert to complete your meal. Go on a relaxing staycation at Anya. The downside to Tagaytay is that it can get pretty traffic on long weekends. If you want a hassle-free vacay, try booking a room at Anya. Their pools and in-house spa are more than enough to keep you relaxed and entertained so you won’t have to leave the premises to have fun. Pick the coldest day of the year to have bulalo at Diner’s. 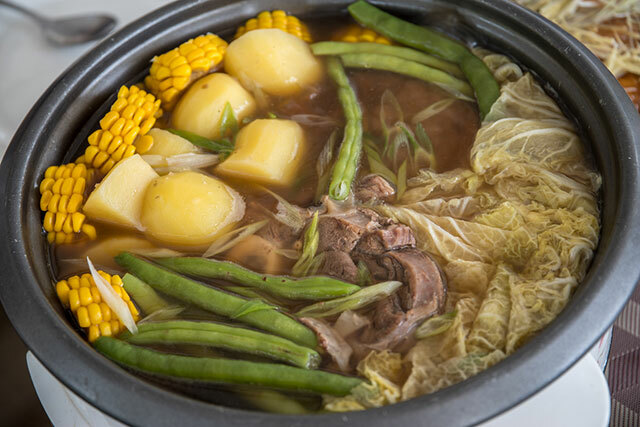 There’s nothing more comforting than a big bowl of steaming hot bulalo on a chilly Tagaytay night. The best part about Diner’s? It’s open 24 hours! Go to People's Park in the Sky. Planning on getting married in Tagaytay one day? Or will you be in town for Visita Iglesia? Be sure to check out their lovely and intimate churches. Bonus: Many of them are surrounded by lush greenery and fresh air. Shop for pasalubong like buko pie, espasol, even sunflowers. From the hundreds of Colette’s in the area, to The Original Buko Pie, and all the business stalls located at the main intersection, you can bring home different delicacies that’ll keep your travel buzz flowing with every bite. Perk up at Starbucks Domecillo. Domecillo is the first design hotel in Tagaytay, so it’s no surprise that their Starbucks branch is just as gorgeous. It boasts of the best view of the lake, which in itself is worth the drive. Drink at Tap Station Twin Lakes Tagaytay. Remember your first out-of-town college inuman? Relive those spontaneous night drives but kick it up a notch with craft beer at Twin Lakes. Bonus points if you support local brews! Buy natural skincare items at Ilog Maria. Check out the fresh and famous bee products of Ilog Maria and you might even find cheaper alternatives to your daily beauty products. Must-tries also include their feminine wash soap and throat spray. Refresh your mind at the artsy El Bodhi Library. El Bodhi, located in La Bella Tagaytay, is the ultimate bookworm’s getaway thanks to its cozy interiors. To complete the look (and experience), they even have a Mind and Body Shop that sells a good selection of wellness products. Celebrate a special occasion at Purple Owl. Known to be a popular proposal pocket in Tagaytay, a private dinner at The Purple Owl could honestly be the most romantic thing to do in the city. You’ll need to book in advance, but trust me, the effort will be WORTH IT. You even get a personalized set-up! Go on a detox at Nurture Wellness. No rest for the wicked, except if you care about your health. Visit for a free consultation, or sign up for their Wellness Intervention Program if you really need a lifestyle detox. Celebrate an anniversary at Sonya's Garden.